Unattended candles, dangerous costumes, combustible decorations – Halloween night is rife with hazards. The deadliest threat, however, are drunk drivers. Many adults choose to celebrate Halloween with a few drinks. Unfortunately, drunk driving rates spike on October 31 – and young, distracted children are particularly vulnerable to pedestrian accidents. 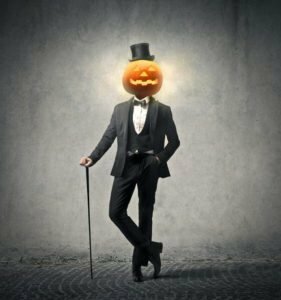 According to the U.S. Census Bureau reports, more than 40 million child pedestrians aged 14 and younger went trick-or-treating in 2014. Sadly, the Centers for Disease Control and Prevention reports that child pedestrians are four times more likely to die on Halloween than on any other night of the year. If your child sustains an injury due to a drunk, distracted or otherwise negligent driver on Halloween, turn to the Troutman Law Office. Matt Troutman is a personal-injury lawyer in Louisville who will help you pursue justice and compensation from the at-fault motorist. You may be entitled to compensation for medical bills and other damages. Call to schedule a free case evaluation. You can also visit USAttorneys.com to learn more about car accident injury claims in Kentucky. Children look forward to Halloween with unrivaled anticipation. Maybe it’s the spooky costumes, or perhaps it’s the joy of stuffing a bag full of candy, or taking over the neighborhood with friends. 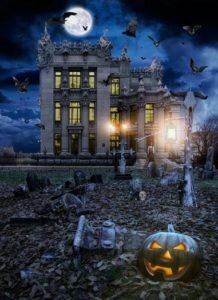 The 31st of October is a favorite day on most kids’ calendars, but the holiday comes with inherent dangers. Many children do not understand how traffic works, and they are easily distracted by the excitement of trick-or-treating. Some choose to wear dark costumes that are not easily visible to drivers. Add reflective tape to your kids’ costumes so they are more visible to drivers. If the worst happens and your child suffers an injury on Halloween, turn to the Troutman Law Office. An accident attorney in Louisville will evaluate your case to determine if you have grounds for a claim. Matt Troutman will help you pursue the highest possible settlement, and if your case goes to trial, he has the litigation experience to represent your interests in court. Call to schedule a free case evaluation.